11x14 inch oil on canvas panel. 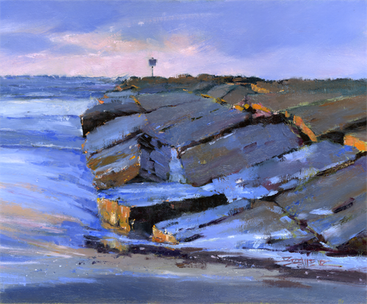 Morning sun on a Galveston Island jetty. Read a blog post about this painting here.